MICHAEL A. VENTRELLA: Today, I am pleased to be interviewing Mark L. Van Name, who I had the pleasure of meeting at the Arisia convention in Boston recently. Mark has worked in the high-tech industry for over thirty years and today runs a technology assessment company in the Research Triangle area of North Carolina. 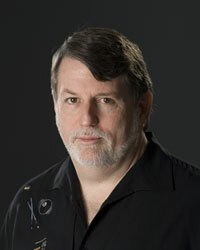 He’s published over a thousand computer-related articles and multiple science fiction stories in a variety of magazines and anthologies. How important is it that writers of hard SF especially have a background in science? 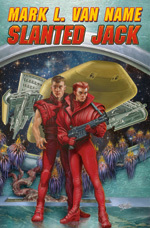 MARK L. VAN NAME: There are no hard and fast rules about writing, SF or otherwise. The right good, smart writer can pull off just about anything. You can learn so much via research that not having formal training in an area is no excuse for not learning about it. So, I don’t think it’s vital that hard SF writers have a science background. That said, I do think it’s helpful to have a solid base in any areas you try to cover in depth. Without that base, you better do your research, because otherwise, you’ll make mistakes, and your readers will spot them. VENTRELLA: Since all of speculative fiction relies on things that are not, do you think a beginning writer should be wary when writing about things of which they have no experience? VAN NAME: Wary, yes, but afraid to tackle it, no. You just have to respect the material you’re using. If you haven’t been a fire fighter and want to write about them, reading about their work and talking to some would be a very good idea. Making it up entirely based on what you’ve seen on TV, though possibly better than no research at all, is rarely enough for your work to have the verisimilitude it should. VENTRELLA: Given your background, are you worried about the growing anti-science attitude we are seeing in much of politics these days? VAN NAME: Definitely, though I have to say that particular concern is lower on my list than many others, including global climate change, the huge levels of hunger and poverty around the world, our national debt, child soldiers, and many other causes. There have always been groups opposed to rationality, and there always will be. VENTRELLA: How did you break into the field? What was your first sale and how did it come about? VAN NAME: My first fiction sale of any type was a short story, “Going Back,” to a now-defunct, small-press, feminist SF magazine, Pandora. My first professional (by SFWA guidelines) sale was a short time later, a story, “My Sister, My Self,” that went to Asimov’s but ended up in their original anthology, ISAAC ASIMOV’S TOMORROW’S VOICES. In both cases, the sale went down in the usual way: I mailed them the manuscript, and they bought it. For the first story, the editors asked that I interview some battered women–the protagonist was one–and then do a rewrite based on what I learned. I did, I learned a lot, I rewrote the story, and they bought it. For the Asimov’s piece, I mailed it, and they bought it. Not very exciting, I’m afraid. VENTRELLA: Did you get an agent? VAN NAME: Nope. Only after I’d sold the first four novels did I talk to an agent. I’m not at all convinced that agents help beginning writers sell short stories. More to the point, I suspect that few agents you would want to represent you would take you if you were writing only short pieces, and that’s all I was doing for many years. VENTRELLA: Tell us about the Jon and Lobo series! VAN NAME: Talking about a multi-novel series is a lot like describing a multi-course meal of experimental cuisine: whether you focus on the individual dishes or the overall meal, you’re bound to miss a lot. I’ll try it a bit from both perspectives. The overall series is a future history that I tell from the first-person perspective of one man, Jon Moore. I’ve always found history more interesting when it comes directly from the people who were there, so I wanted to chronicle a very important time in humanity’s far future–I’m writing about a time roughly 500 years from now–but limit myself largely to what Jon can see and experience. 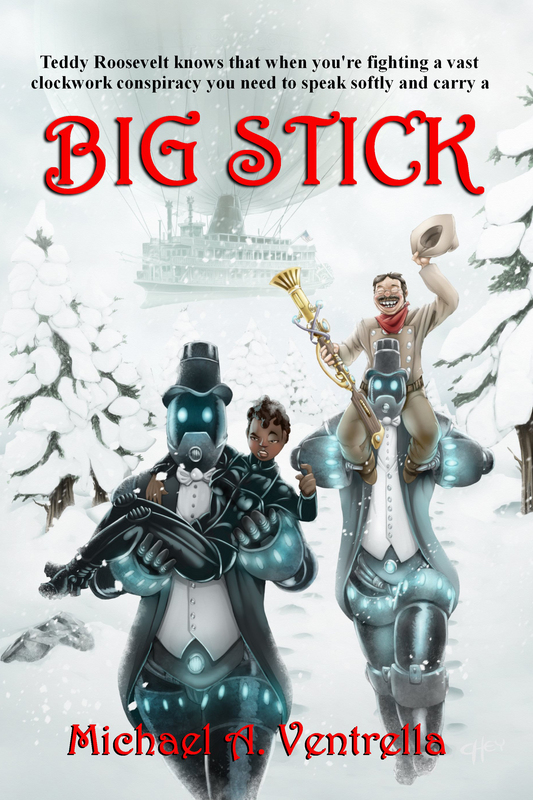 Of course, he’s a most unusual man, as far as he knows the only nanotech-enhanced human alive, so he naturally ends up in quite a few interesting situations. 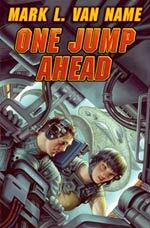 In the first novel, ONE JUMP AHEAD, he meets and becomes first the owner and then the friend of Lobo, an extraordinarily intelligent assault vehicle that can go anywhere–on land, under water, in the air, or in space. Over the course of the many books the series will take to complete–I’m estimating about eighteen, but that’s just an estimate–the characters and the universe will undergo many significant changes. On an individual book level, each part of the series is simply a novel that should stand entirely on its own. You can pick up any book in the series and enjoy it. You can read them in any order. If you read them all, however, and further, if you read them in order, then you should have a richer experience. I’ve talked to lots of readers who’ve joined the series several books in, and so far, all of them have been able to enjoy whatever books happened to be their starting points. VENTRELLA: You like to attend science fiction conventions. Are they really worth it, given the expense? VAN NAME: I have no clue, because hard data on the sales value of cons–or blogs or pretty much any other marketing tool–is almost impossible to get. That said, I don’t go simply to increase sales. I attend cons to be part of the community, to see friends, visit new cities, eat at good restaurants, and so on. You can’t be sure you’ll boost your sales, but you can be sure to see friends and have an entertaining time. VENTRELLA: What’s the funniest experience you ever had at a convention? VAN NAME: I’ve done a lot of humor panels at cons, and I’ve done stand-up comedy/spoken-word shows, so that’s a tougher question than you might imagine. Certainly one of the funniest hours I’ve spent was listening to my friend, Lew Shiner, give a talk on humorous mimetic short fiction at a long-ago Disclave at which he was the guest of honor. He delivered the entire thing in very scholarly style, but it was just an excuse to tell a ton of jokes–which he did, brilliantly. VENTRELLA: What process do you use in order to make believable, realistic characters? VAN NAME: I don’t see that process as separate from the overall writing process. I sit down to tell a story. The story becomes very real in my head, because I spend a great deal of time living in the world of the story. The story includes people. I get to know those people. Like any other folks, they behave the way they do because of who they are. If I try to make a character do something that she or he simply wouldn’t do, it feels bad, wrong, as wrong as it would feel if a friend suddenly behaved completely out of character. I listen to those feelings. I write the story. The characters behave as they would. That’s about it. I should probably clarify that I’m not one of those writers who believes his characters are real humans. I know they’re not. I know I control them. I know I could make them do anything I want. I also know, however, that doing so, that violating a character’s identity simply for the sake of a plot, would be bad craft. I don’t want to do that. VENTRELLA: What is your writing process–-do you outline heavily, for instance? VAN NAME: I generally outline, but how detailed the outline is varies widely. For a thriller, FATAL CIRCLE, that I’m partway through and hope one day to finish, I had to do some research in key areas and consult with some experts. The result was a very detailed, very long outline–over twenty-six thousand words, a quarter of a typical novel. 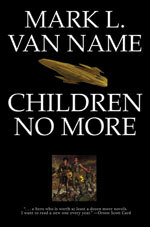 For CHILDREN NO MORE, I went with an outline of barely three thousand words. I outline to the level I feel necessary before I’m ready to start writing the book, and then I write. I do some writing work every day. That’s been the key to changing me from someone who sold a story every few years to someone who has multiple novels out. I don’t, though, have a word-count quota. I avoid that sort of goal because it’s so easy to fail at it, and I hate failing. Instead, I have a time requirement: I must devote at least half an hour a day solely to writing work. As long as I’ve done that, I’ve succeeded. Most days, I do more. Most days, I get a fair number of words on the page. Some days, I produce very few. As long as I’ve tried for half an hour minimum, I call it a success. VENTRELLA: What do you see as the future for printed books? For book stores? VAN NAME: I love books. I really do. My house is full of them. They’re everywhere. Sadly, I believe the printed book is going to become a minority taste. I’m not sure if the transition will take ten years or fifty, but I believe it’s coming. That said, in the fiction world, books are containers for stories, and ebooks are simply other containers for stories. Similarly, I believe bookstores will continue to exist, but they will evolve, and in time their numbers will shrink. I will hate that, because I love bookstores almost as much as I love books. I hasten to add that I don’t see any of this as the demise of writers or of people paying for stories. They’ll just pay for those stories in other forms. VAN NAME: Rather mixed. I write a blog, so in a sense I self-publish. I sell all my fiction, however, to traditional publishers. I know that some writers can make a great deal of money self-publishing, but being a publisher is a lot of work, and most of that work is not writing, which is what I most want to do. So, for me, selling to a publisher remains the way I hope to continue to bring my fiction to the market. I also expect most people who self-publish are unlikely to make a lot of money doing so. The sales and marketing experience that a publisher brings to its job helps make each writer a brand–some obviously much bigger brands than others–and it’s hard to manage that feat on your own. Plus, self-publishers have to be good enough at analyzing their own work to know when it’s of publishable quality. I’ve read some who are indeed good at that job, but I’ve also read many who are not. Like so many things, if others want to do it, I wish them the best. For the most part, though, it’s not for me, at least not now. I add that last bit because even for those of us who work in the future every day, it’s pretty darn hard to predict. VAN NAME: I agonized over this question for months. In fact, it’s the biggest reason I’ve been so late getting this interview back to you. I really took the challenge seriously, and I found I simply couldn’t come up with a single ultimate dinner party. I won’t let myself cop out completely, though, so I’m going to give you, in no particular order, a few that particularly caught my fancy. Each on his own, just so I could focus exclusively on him: Homer, Shakespeare, Keats, and my biological father, whom I’ve met only once for a couple of hours. My mother as a young woman, but with someone standing by to knock me out if I started to give away the future. Several women I care about deeply, each alone, each as a young girl, just so I could see who they once were. I could go on and on, but one thing is clear: I’d be greedy, going for one-on-one time rather than organizing a group.